Welcome to our Flagstone Pavers Section! Flagstone pavers are some of the most preferred and used paving materials by contractors, stonemasons, builders, architects, and DIY enthusiasts. They are typically derived from various natural stones such as slate, bluestone, quartzite, limestone, or sandstone and are formed by cutting them into slabs. And while natural flagstone pavers can be a bit pricey, the benefits that they can provide make them very attractive paving solutions. These paving materials are durable, easy to maintain, slip-and acid resistant, and offer various customization possibilities. 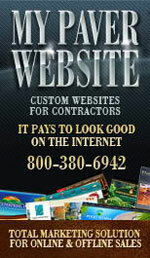 Property owners can also choose from the various colors, patterns, shapes, and finishes available. The variation in color makes flagstone pavers very ideal for custom hardscaping projects. Being made of natural stones, every flagstone paver has a unique color that does not fade. Some of the most common flagstone colors include red, brown, and blue. Other color options are moss green, charcoal grey, sand, and brownstone. With the various interesting patterns available, a lot of property owners and landscaping contractors rely on flagstone paver units. You can choose from diamond run, basket weave, Herringbone, cobble lock, Venetian parquet, random, and irregular patterns. With these patterns, it’s possible to achieve any theme like Old World, Mediterranean, and Modern or Contemporary. The available flagstone paver shapes include square, rectangle, irregular, Hexagonal, Uni Décor, Spectrum, Diamond turf, and Apian. Meanwhile, sizes generally include the 560 and 600 series, and thickness options range from 1 inch to 3 inches. Another excellent reason to choose flagstones as paving materials is the various finishes available, including calibrated surface, brushed, antique or tumbled, sawn, hand-cut, and chiseled. These options can lead to the creation of some eye-catching design that will surely make your property stand out effortlessly. If you’re looking for concrete proofs of just how versatile and extraordinary flagstone pavers can be, just watch these informative videos that we compiled. Bathrooms. Since bathroom floors are constantly wet, it’s important to use a slip-resistant material for the flooring – and flagstone is just the perfect solution. Hallways. Enjoy a great-looking hallway with flagstone flooring. Living rooms. Make living rooms more inviting by using flagstone paver units as your primary flooring materials. Kitchens. Flagstones are also preferred for kitchen flooring because of their slip- and acid-resistant characteristics. Patios. Patios with flagstone surfaces are not only absolutely stunning but also skid-resistant. Pool decks. If you want a safe surface for your pool deck, then go for flagstone. Your pool deck will also look every inch a visual treat with the unique and elegant look of the paver units. This is possible with the various available patterns and colors of flagstones. Walkways and Pathways. Encourage daily walks with gorgeous flagstone walkways around your property. Driveways. Most contractors prefer flagstones for the construction of driveways because of their durability and the aesthetics that they provide. Stepping stones. Stepping stones can be more than pleasing to the eyes as they are safe to walk on if you’ll go for flagstone pavers. Flagstone pavers are among the finest paving solutions that you can have. Just take a look at these photos to get ideas on the wonderful design possibilities that you can enjoy with these paving materials. 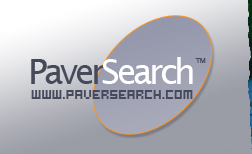 Below is a list of Flagstone Pavers Resources throughout the United States.